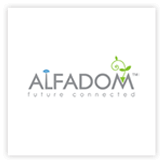 Alfadom Italian provider of VoIP telephony, delivers on all the Italian territory an innovative telephony service for residential and business. Using voice systems over the Internet (VoIP) – which allow a significant reduction in the cost of phone calls – Alfadom offers Residential and Business Price Plans which include the use of exclusive services. 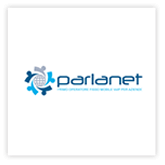 Parlanet is a young company but with over 15 years experience in VoIP telecommunications. Our goal is to build a completely personalized service, calibrated to the needs of each customer. We do not have call centers, but a group of assistants, who will take care of every customer, following it in the delicate migration, from traditional telephony to VoIP. That’s the way we relate to customers, which allows us to provide embassies, government agencies and international caliber companies. • Telecommunicatonn nervicen: ofering advanced solutons of VoIo communicatons with many plus services. • Cloud: ofering virtual services both standard and on proeect.